There’s nothing worse than taking a peek under your in-ground trampoline and discovering a snake. Or worse, several of them! We shudder at the thought! What’s more, if you’ve already seen your fair share of in-ground trampoline snakes, you’d probably like to avoid another sighting. Seeing snakes in the trampoline pit or on the mat itself is not only a horrifying experience but also potentially dangerous. Unfortunately, you’re not going to be able to avoid them since there are about 50 species of snake﻿﻿﻿﻿s currently slithering within the US. In fact, if you ever find a snake under the trampoline, we suggest blasting it with a garden hose. When we’re dealing with snakes, it’s best to assume that they’re venomous and call the proper authorities, or send them on their way with as little contact as possible. Also, unless we’re living in Alaska, which has a surprisingly low number of snake sightings, our chances of running into a venomous snake in America are disconcertingly high. So what can we do to defend our yard against snakes? If you never want to see another snake using your trampoline as a tanning bed, there are a few ways to ensure that it doesn’t happen again. Believe it or not, one of the best things you can do to avoid having snakes under the trampoline is to keep your yard tidy. That means mowing your lawn frequently and removing any clutter you may have lying around. Essentially, snakes love hiding in tight and dark spaces, so your pile of burning wood and your messy shed are pretty much an open invitation for them. We also recommend keeping the low shrubbery at a minimum. If you need to have plants, it’s best to have taller ones like roses and trees. Still, in-ground trampolines are the ultimate temptation for snakes exactly because the space under the mat is the perfect hiding place. However, if they don’t have any convenient hiding places on the way to the trampoline, they won’t be able to get to it. 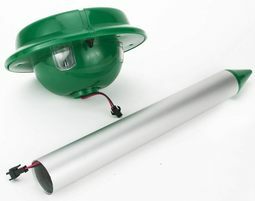 If you want to keep your yard safe from snakes, you could also find the entry points a snake might use. Go around the perimeter of your property and try to figure out where a snake might pass through. Patch up any holes in the fence, or if you don’t have one, look into what type of snake-proof fencing you’d need depending on the species that exist in your area. Remember — snakes can also slither up vertically, so you’ll need to angle the fencing outwards. Instead, you can try planting marigolds, which are, apparently, a natural snake repellent. In addition, you can also mix a homemade repellent made of cinnamon oil and clove oil. You could just spray this around your trampoline. On the other hand, you could go all out and leave old rags soaked in this stuff around the yard. If the snakes aren’t coming to your yard for shelter, consider why else they may be here. Typically, snakes are carnivores. 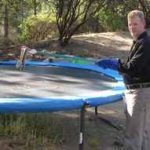 So if you have large insects, mice, rats, or even squirrels in your yard, those may be the reason why you’re finding snakes in the trampoline pit. 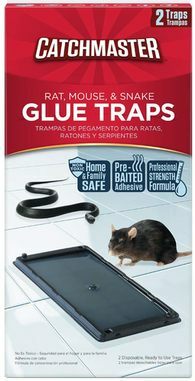 Just focus on driving these critters away and the snakes will follow. Of course, snakes are most likely to live in places that are uninhabited. After all, they’re much more afraid of us than we are of them. If you go into the yard and make a racket, the reptiles will scatter. Even if you mow the lawn, the vibrations will scare them away. However, our favorite way of driving away in-ground trampoline snakes is easy: use the trampoline! If you make it a point to bounce on the mat regularly, snakes probably won’t mess with you. But now we’d like to hear you answer this question. 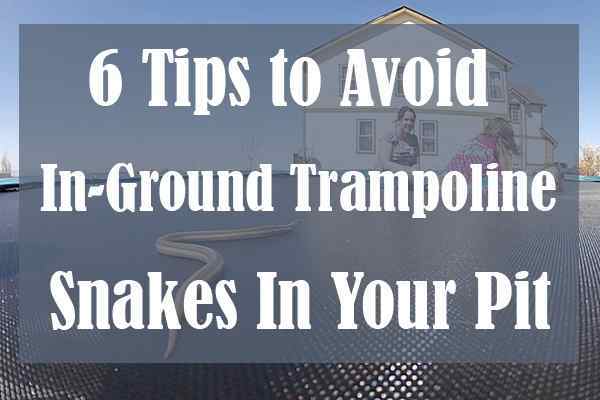 Do you have a good way of keeping snakes away from your trampoline pit? We’d love to hear it in the comments down below. And if you know someone else who’s struggling with a similar problem, share this post with them.